Tadah! I got my Funko POP! Darth Vader with bobble-head that can go toinn! toinn! when I touch it. In conjunction with the release of the much anticipated Rogue One: A Star Wars Story, Funko POP!’ launches their Star Wars themed figurines. If you are a collector of Funko POP! 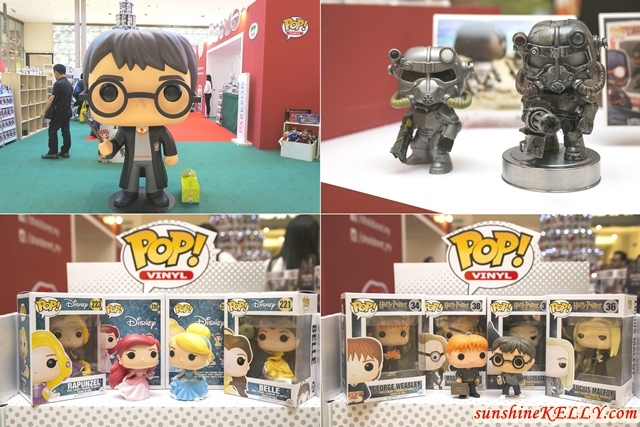 figurines you might not want to miss out the Popping Christmas @ Tokyo Street with the popular collectible Funko POP! exhibition showcases over 600 vinyl collectibles with a wide collection of fan art, rare collector’s items showcased in premium display boxes. Plus you can also enjoy interactive games and snap photos with the live-sized characters on display from now till 1 January 2017. ‘Funko POP!’ figurines are iconic as it stands at an estimate 4 inches tall, it has a squared-shaped head with round edges, button-like black eyes and a small nose. It comes in a vast array of characters from pop culture icons so there’s something everyone can relate to. There are 3 exclusive characters which is baby Groot from Guardians of the Galaxy, Aloha Stitch from Lilo & Stitch and the Cheshire Cat from Alice in Wonderland that is glow-in the-dark. On top of that, there was a showcase of custom made ‘Funko POP!’ where collectors would dismantle original ‘Funko POP!’ characters to create their own personalised or improved figurines. ‘Funko POP!’ is not just a collector’s items but it also spurs creativity and curiosity among fans. 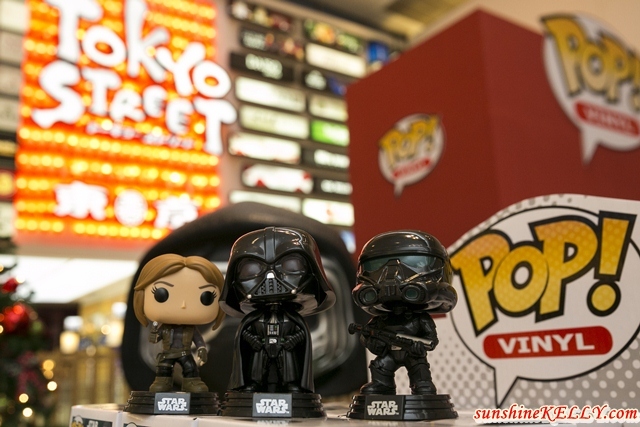 Exclusively this Christmas, ‘Funko POP!’ brings in 3 live-sized figurines which are Kylo Ren from Star Wars, Harley Quinn from DC Comics and Anna from Frozen, which are displayed together for the first time in Malaysia. You get to relive their childhood with interactive games that are complimentary with purchase at the ‘Funko POP!’ pop-up store enjoy three rounds at the arcade booth with RM100 spent and free tokens to play the claw machine with RM180 spent. In addition, shoppers can take part in a social media contest to stand to win ‘Funko POP!’ characters.